Mix vinegar and milk together and let sit. Combine dry ingredients in a large bowl and mix well. In a separate bowl blend butter with sugar; beat in eggs one at a time. Add vanilla and Stir in milk mixture. 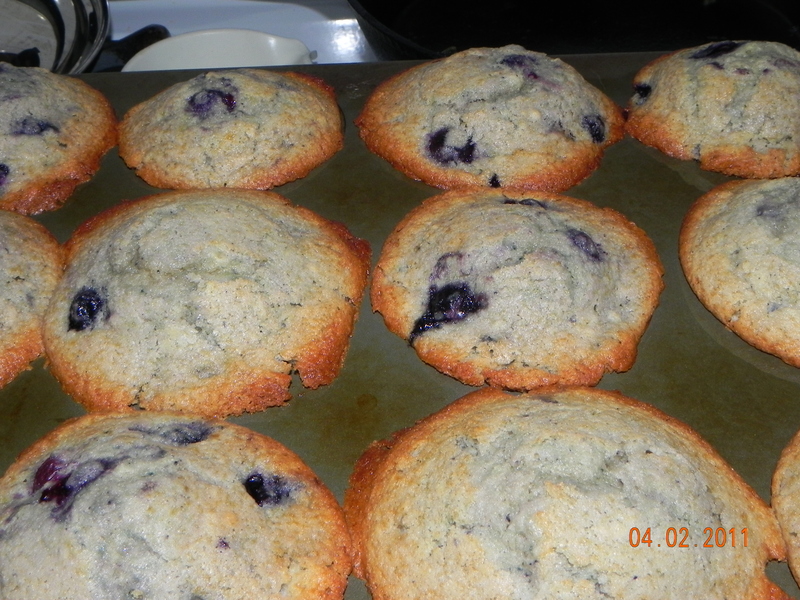 Make a well in center of dry ingredients ; pour in creamy mixture. Sprinkle in berries and mix until just combined. Bake for 25 – 30 min depending on oven. If baked too short will be sticky and won’t hold up to buttering. We use Bob’s redmill brand flour most often. We also use Namaste brand. If using Namaste brand omit the gum from the recipe. 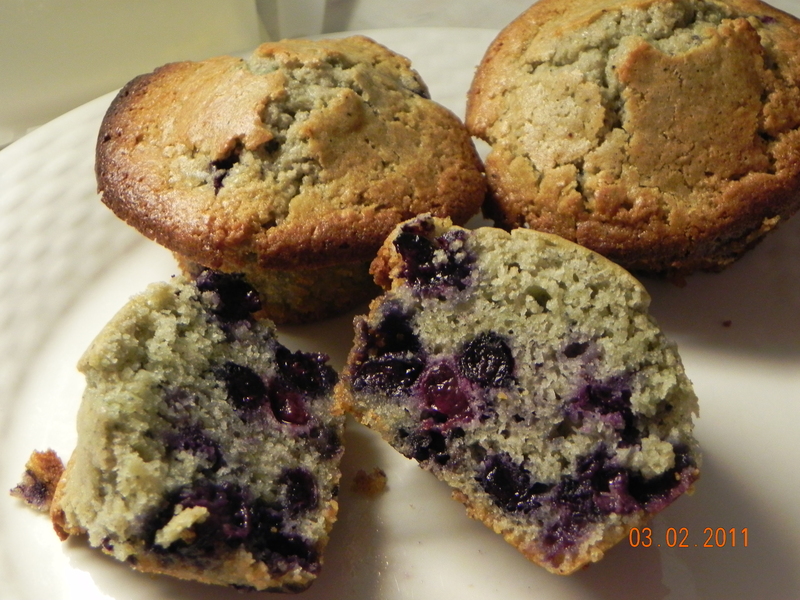 I use frozen blueberries, if left to thaw the muffins turn a brilliant blue – the girl’s love it, but often eat the berries before they thaw. Fresh berries also work, but so far I’ve yet to have fresh berries in the house long enough to bake with them.